On The 10TH Anniversary Of Vogue, Mithali Raj Shines Bright On Its Cover! Vogue, on its 10th anniversary, decided to honor women and men of the year, and to our surprise, they chose Mithali Raj, the firebrand caption of women’s cricket team to grace one of its covers. Along with ShahRukh Khan and Neeta Ambani, she is dazzling like a shining star on the cover. 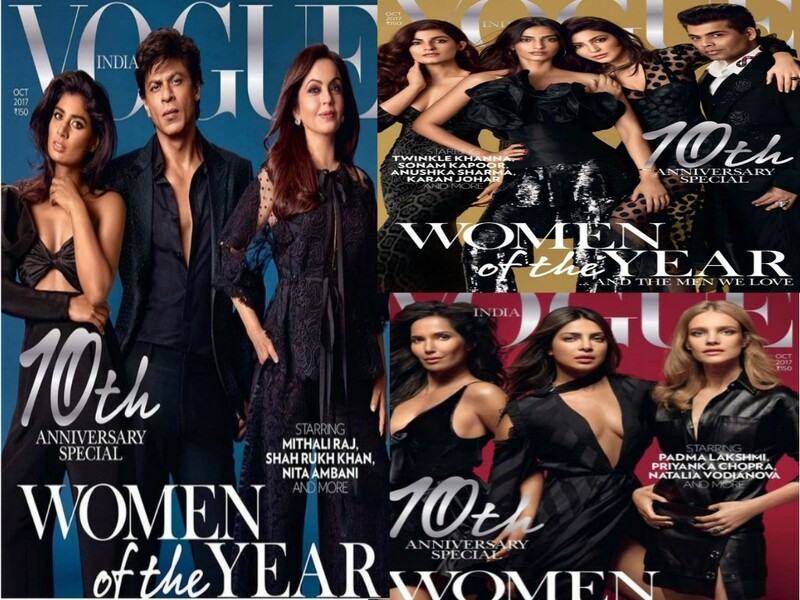 Apart from Mithali Raj, other stars to pose for the cover of Vogue on its 10th anniversary were Twinkle Khanna, Sonam Kapoor, Anushka Sharma and Karan Johar. On one of its covers, Vogue also decided to showcase Padma Lakshmi, Priyanka Chopra, and Natalia Vodianova. Though all of them looked equally stunning, our eyes were stuck on Mithali. Relationship Goals: Shahrukh And Gauri’s PDA At ‘Vogue Women Of The Year Awards 2017’ Is Way Too Adorable! ← Is Anushka Lying On Why She Didn’t See Padmavati’s Posters Yet? We Have Proof!